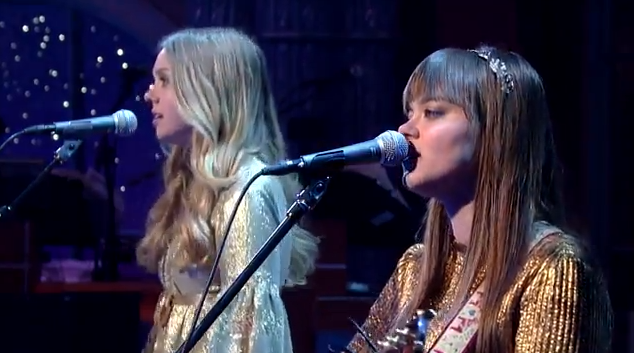 Promoting their newly released LP Stay Gold Swedish folk duo First Aid Kit were welcomed as the musical guest on the Late Show last night. With sisters Klara and Johanna Söderberg dressed in shimmering gold outfits and backed by a small string section, they performed their standout single "My Silver Lining." Click below to watch.